Having this in mind, not taking in account user needs and wishes while developing a product is not likely to end up prosperously. Meaning: in order to build a successful product, having an awesome idea is equally important as to be aware for whom you are making that product. Also, the only way to actually validate your idea and get the assurance that you are heading towards the right direction is to precisely define ‘what the users want’. A devotion to taking user-friendly design to the next level is a game changer. Users who feel good around the product are more likely to become customers, but also to keep using it and spreading the word about it. So, in order to increase chances for your business success, special attention should be paid to users and their experiences. Is your mobile app intuitive enough to them? Is the loading speed of your website frustrating? Is reading the super boring manual a necessary step before start using a new coffee machine? Once your product is released, having the right answers on these kind of questions is a must! If not backed up with a proper research, it may easily turn out that you are not really objective when making predictions on your users behaviour. This leads to relying on assumptions or making guesses, and both are not that welcomed in production decision process. Namely, if you don’t engage in direct investigation, you can only suspect what are the current pains or wishes of your potential users. And this is true even if you consider yourself to be a representative user for your own product. Just for example: you could be an active swimmer, engaged in the community, and still completely wrong that a meaningful number of swimmers will appreciate your idea to add special music programmes into their swimming app. So, whether you are developing brand new app the world has never seen before, or offering slightly adapted model of a washing machine, you have to make sure your creation is intuitive and cosy for using. Otherwise, people won’t be interested in the product, or even more, they could be irritated by it. This is where usability testing gets on the stage in order to ensure a) quality and b) acceptance of your future product. Actually, the whole idea behind usability testing is in decreasing the risk of failure. And the only effective way in doing so is to start introducing your product to users from the very beginning of a development process. But why, one could ask? Early product phases are pretty busy and complicated by themselves. Is it really necessary to be additionally interrupted by user comments and constant rethinking of the process accordingly? The amount of time and money that should be spent in order to change the product is directly proportional to how far in development phase it is in. Or simply said: postponing the usability testing for late developing stages (not to mention waiting for a product to be finished) is pretty irresponsible. This way you’re not only risking to spend higher amounts of time and money, but also putting yourself in a position to easily end up without resources and possibility to correct yourself. In other words: you’re endangering the possibility for your product to show up at the market at all! retention of users is a proper challenge and money waster as well. All of the listed problems might be prevented by approaching your potential customers early enough. Users already know what are the features your product should have. Start gathering feedback as early as you start developing a product idea and keep doing so through the whole development. 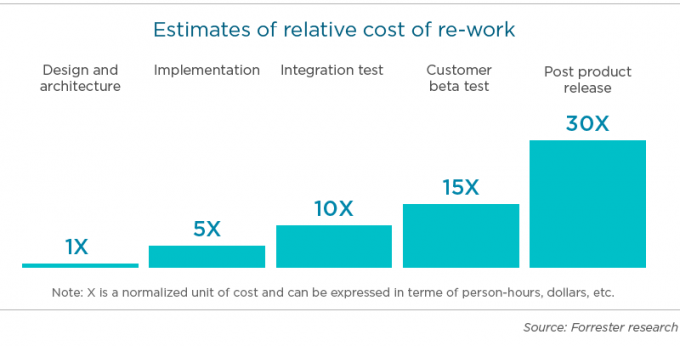 Reactions that you want to get during the testing are the ones relevant for optimising your product decisions. Paper sketches can be made fastly, but these will not allow the interactions similar enough to the ones users will have with the final product. The representative behaviour you tend to observe is the one only high fidelity and interactive prototypes can evoke. If you need an efficient way to prevent misunderstandings with stakeholders, team members, decision makers – this is also your way to go. Getting general notion on how users are behaving while freely interacting with your prototype is important, but not crucial while deciding how to further develop specific product features. For this kind of insights, users have to be directed on concrete segments of the prototype. The best way to do this is by creating individual tasks for them. The next step is to decide whether you prefer these quests to be set upon your users by interviewers (and be aware that their subjectivity might influence the analysis of results gathered) or you’re more inclined to alternative and more objective approaches. If the idea of automatized measuring and getting accurate data on how users are interacting with your prototypes rings the bell for you, check out Koncept. This tool allows you to make very interactive prototypes easily (no coding or adapting to new settings required), set concrete tasks on particular parts of prototypes, and finally, sum all the users interactions into detailed analytics.